Deathscapes: Mapping Race and Violence in Settler States is an ambitious project that brings together research and visual representation to expose the horror of custodial deaths in settler nations. 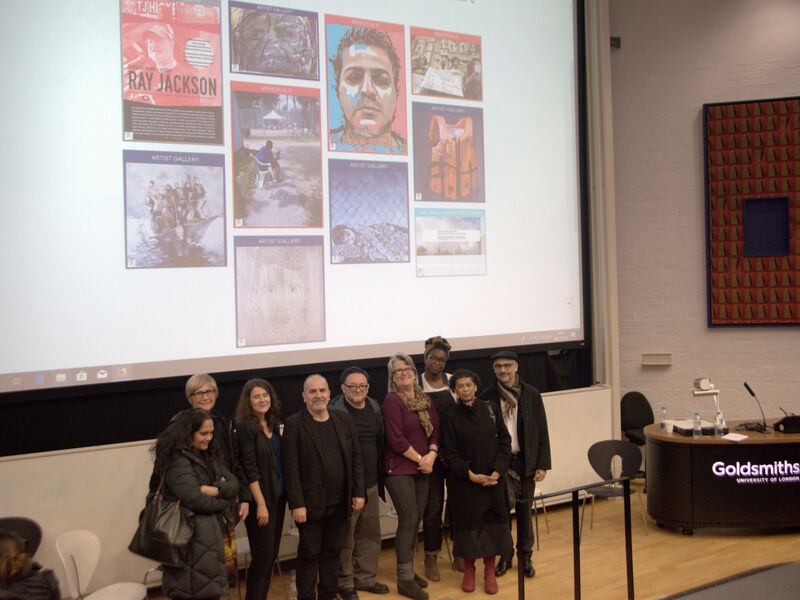 It was officially launched this month with an event at Goldsmiths University in London and included a roundtable with Deathscapes project partners, Goldsmiths faculty, researchers and journalists. With a focus on Australia, the United States, and Canada, as well as countries formally colonized by Europe, the project’s launch solidifies its multi-country scope marked by collaboration and large networks of solidarity. The bold and innovative project is funded by the Australian Government and Australian Research Council, and seeks an end to structural violence and deaths in state custody. It is driven by the dedication, passion and political conviction of teams in Australia, the US and UK, and is headed by Suvendrini Perera of Curtin University and Joseph Pugliese of Macquarie University, both in Australia. Deathscapes is intended to be a transformative initiative, drawing from a variety of disciplines – from journalism to art, media studies and humanities – and works to address state violence by mapping the terrain of custodial deaths and related sites where violence takes place. Perera, a John Curtin Distinguished Professor and Research Professor of Cultural Studies in the School of Media, Culture & Creative Arts, has widely published on issues of social justice, including decolonization, race, refugees, ethnicity and multiculturalism. Her publications include Reachs of Empire; Australia and the Insular Imagination: Beaches, Borders, Boats and Bodies; and Survival Media: The Politics and Poetics of Mobility and the War in Sri Lanka. Pugliese is Research Director of the Department of Media, Music, Communication and Cultural Studies at Macquarie. His book, State Violence and the Execution of Law: Biopolitical Caesurae of Torture, Black Sites, Drones (Routledge, 2013), was nominated for the UK’s Hart Socio-Legal Book Prize in 2013. However, this month’s launch event emphasized the large team of partners and highlighted the shared strategies, policies and practices that have made Deathscapes possible. Yet another panellist – Jonathan Xavier Inda, from the University of Illinois – spoke about the militarization of the US border and the widespread culture of cruelty fostered by US border agents. He cited examples of migrants being routinely mistreated, denied food and medical aid, and subjected to physical and verbal abuse, including striking and kicking. According to the American Civil Liberties Union, an estimated 55 migrants died at the hands of US border agents from January 2010 to April 2017. Inda went on to recount the specific story of Anastacio Hernandez Rojas, a victim who’s death comprises one of the case studies found on the project’s website. Case studies such as these, and the rigorous context provided by the project’s researchers, forms Deathscapes’ core, offering a much-needed resource for those already struggling to expose the under-reported and often misrepresented realities of these detained subjects’ situation. 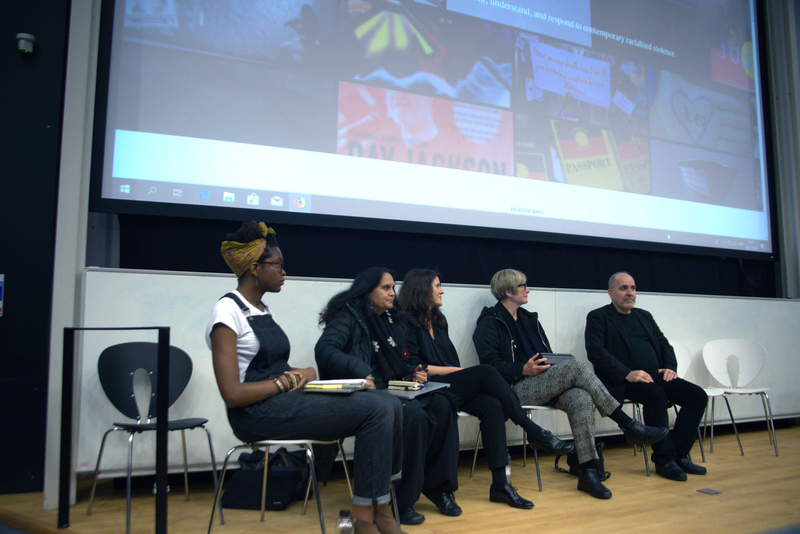 During the launch event, investigative journalist Rebecca Omonira-Oyekanmi asked a particularly urgent question: How can we think about better collaborating these stories? Journalists and photojournalists working on the ground are so enveloped in the experience and attending traumas of reporting that academics analysing the facts and figures from a more removed vantage can be helpful in providing the necessary weight so as to generate responses and actions. As such, these Deathscapes exchanges are an open invitation not only to strengthen investigations but also to incorporate visual narratives that are important evidentiary tools – vehicles “that humanize what has been dehumanized,” as Pugliese put it. Forgotten and/or disappeared without trace, victims of these deaths lay underground and underwater, on desert plains, in the backs of vans and in detention units. Deathscapes is pushing to generate and amplify a narrative that we seldom have access to – one which also restores and celebrates the lives that have been cut short. The reports pay particular attention to the details and complexities surrounding structural violence driving these tragic events – transcripts of interviews, photographs, videos, the visible and invisible structures that form the overall geography of hate. The militarisation of borders is rendered vividly, a site in which more and more multinational private security firms are being deployed. Indigenous studies and refugee studies have parallels: The deaths of indigenous people in custody and the deaths of refugees at the border are indeed connected by shared colonial histories. Deathscapes is setting out to map all of this through the visualization of the structurality of these deaths. Public participatory activism is also encouraged by the project, and its website invites artists, photographers, videographers and filmmakers, as well as the general public, to submit evidence. The project functions as a virtual memorial, activated by a meditative space upon clicking the tree icon – a space for reflecting, remembering and grieving. There is no doubt that Deathscapes is welcomed, and needed. One can only hope that it can make a resounding and long-lasting impact.